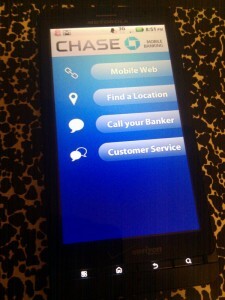 Official Chase App Spotted for Android, But What Will it Bring? After Chase released the latest version of their awesome app for iOS, we were left wondering if they were ever going to make an official trek to Android. If a shot of this app tweeted out by a mobile apps designer is anything to go by, they’re definitely bringing an app. The question is: are we going to get the same app that our iPhone friends have gotten? 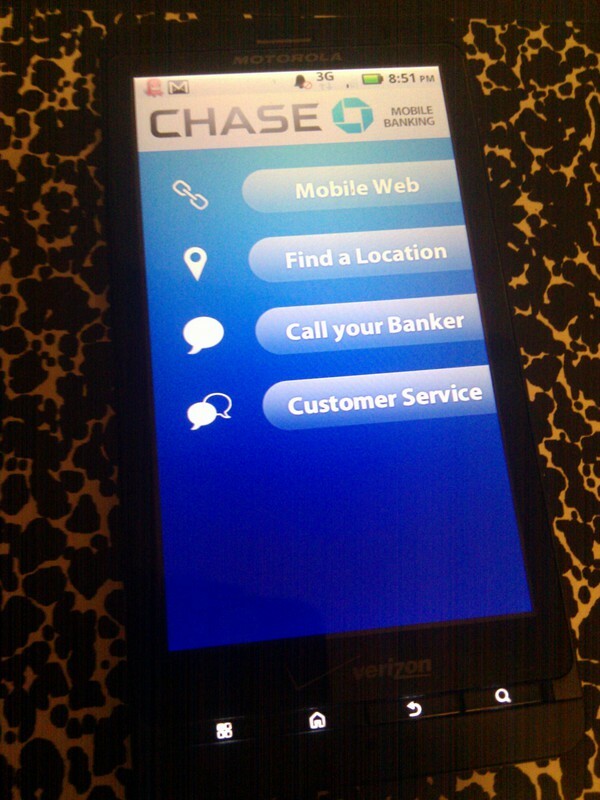 At first glance (and we can’t confirm anything since this is nothing official and we have no details on how far along development is), it just looks to be a glorified wrapper for Chase’s mobile site. The fact that the first button is labeled “Mobile Web” doesn’t spell well for the usefulness of the rest of the app. Call me bitter, but those are some pretty desirable features I’m sure everyone would like to have. Hopefully this is just a shot of the app in its earlier stages, but being a long-time Chase user (alongside being a long-time Android user) I’ve been waiting for something like what the iPhone app offers and I’m just steadily hoping that’s what we’ll eventually end up with.